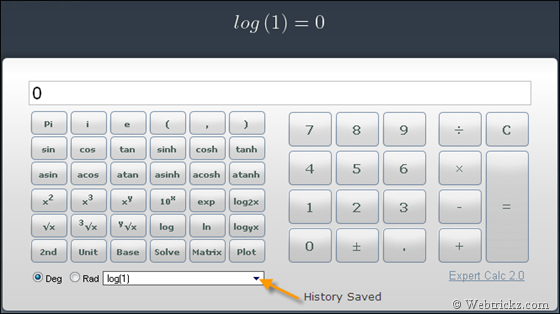 The online calculator operates in either algebraic input (default mode) or RPN input. The calculator mode is set by clicking on the "ALG/RPN" symbol in the status bar or by changing the mode inside the menu dialog box. There is a Windows desktop version of basic calculator. It’s completely free and it runs on your computer without requiring an internet connection. It has support for 6 languages. 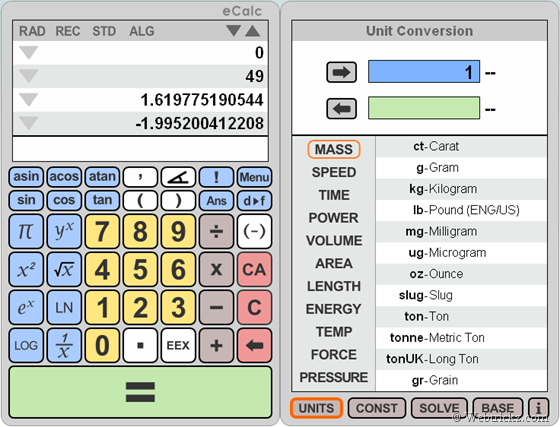 A Portable version of eCalc basic calculator is also there which allows you to run the calculator from a flash thumb drive, or right from your desktop without requiring any installation.